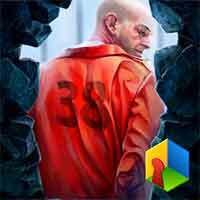 Guide for Can You Escape Prison Break Walkthrough – escape by any means and don’t get caught! find items and solve puzzles to open more room, explore locations and reach the exit ! Can You Escape series continues with long-awaited Prison Break game! In this room escape game you’ll find yourself locked up in a supermax prison. As this jail is designer to house inmates who are high escape risk your mission won’t be easy. You have to be clever, you need to think like a lifelong prisoner in order to find your way out. The detention center is packed with puzzles and traps so get ready to solve tricky riddles, break enigmatic codes and find carefully hidden objects to complete your goal – escape! This entry was posted in Can You Escape - Prison Break and tagged Can You Escape - Prison Break Mobigrow on December 14, 2017 by 100doorssolution.